A romantic guy he isn’t. But he communicates his feelings well. 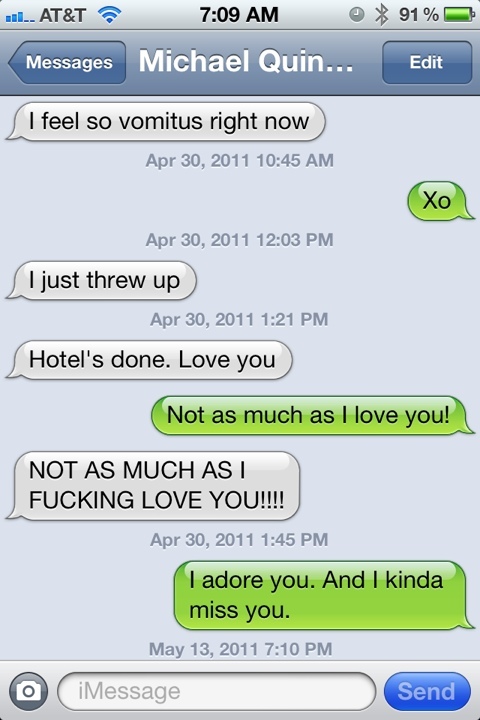 Our texts from the hours leading up to our wedding. This entry was posted in Family, Nonsense, Wedding Planning and tagged Anniversary, MQD, text message. Bookmark the permalink.